I have lived all over France, from the cold, coal-digging North to the sunny South to infamous, nearly central Paris. And while I have chosen the latter as my current home, it was actually during a four-month stint in Cannes that I decided to move to France. I went to Cannes, as so many American students do, as part of a study abroad program. I spent the spring semester of my sophomore year of college taking classes in French language, history, culture and cooking, and by the time my four months were over, I was certain I wanted to move, not only to France, but to Cannes… and this was before the summer season had begun. 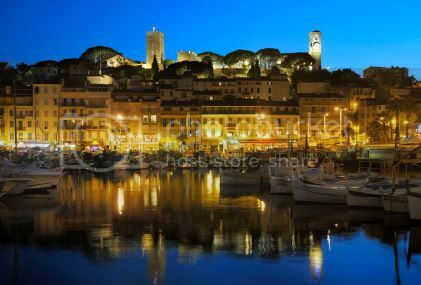 Cannes is a city, like many seaside cities, that is best known in its high period, when international movie stars arrive to walk the red carpet at the film festival, and glamorous hotels put out chaise lounges for those wishing to sip cocktails at the seaside. But the Cannes I knew – the Cannes that exists for the rest of the year – was much different. In the winter, native cannois bundle up against the (relative) cold, seeking shelter indoors and company over a glass of wine or a cup of coffee. They do their daily shopping at the Forville market in the old town, picking local produce and cheeses and eating, not in expensive, seaside restaurants, but in the comfort of their own homes, with friends around the table. When the summer season arrives, the people that flood Cannes’ streets are not the natives: they’ve already departed for picnics at the public beaches and hikes in the Alpes Maritimes… which is where knowledge of one of the local specialities, pan bagnat, comes in handy. My professor in Cannes, a Frenchman by the name of Serge, complete with a moustache, tiny glasses, a large red scarf and a boisterous laugh, answered all my questions about the natives of this little corner of the Riviera. In their language, pan bagnat means pain baignée, or “bathed bread” in English: a sandwich made of a special local bread, “bathed” in olive oil and topped with local specialties: tuna, anchovies, tomatoes, olives, boiled eggs. The exact combination can vary from family to family and according to your personal tastes, but in the end, what you get is a sandwich that only gets better with time. Make them before leaving on a walk or a hike, and when you finally unwrap them to eat, you’ll be rewarded with bread that has soaked up the juices and flavors of this very Provencal group of ingredients. Slice the bread in two horizontally. If the bread is particularly doughy, remove some of the interior ofthe bread. Brush each side with olive oil. Cut the clove of garlic in half, and rub it vigorously against each side of bread. In a small bowl, combine the tuna, salt and shallot. Place the tuna mixture on one side of the bread. Top with tomato slices, anchovies, egg and lettuce, if using. Place the other side of the bread on top. 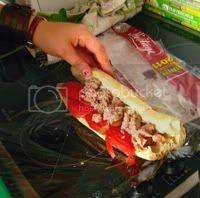 Wrap the sandwich very tightly in plastic wrap to secure the ingredients. Best if prepared several hours in advance. *FlipKey note: Don’t miss this great guide on How to Make Hard Boiled Eggs. Is an urban adventure on your list of dream vacations? Consider choosing one of these cities with impressively extensive public transportation so you can zip around to all the museums, shopping, restaurants, bars, and parks on your itinerary—rather than getting stuck in traffic, getting lost, or driving on the wrong side of the street. Your car-less mode of transport will not only be easier on the environment; it’ll let you pack in a lot more people-watching too. The Japanese capital has not only one of the biggest and most-used public transportation systems in the world; but the system is remarkably clean and on time. The subway includes bonuses like heated seats and computerized messages in Japanese and English. You can zip around the city seeing everything from temples to parks to museums. The extra adventurous can brave the subway at rush hour and get pushed into an overcrowded car by a platform attendant. While the stations aren’t exactly sparkling clean, the subway system is extensive enough to create an incredible walking culture in New York, where most residents aren’t even expected to have cars. Besides obvious spots like Times Square, Wall Street and museums galore, the subways and buses can take you to beaches, zoos, botanical gardens, and ethnic enclaves—all for the same flat price. Or hop on the Metro-North or Long Island Railroad to explore the peaceful views of the Hudson Valley or the string of beaches on Long Island. The famous London Underground was the first underground railway in the world, and nowadays the system is impressively large. The long lines allow you to check out central sights like Westminster Abbey, as well as further out locales like Wimbledon. Besides riding the Tube, you can connect to a light rail that offers spectacular views of the Thames. 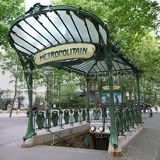 Here, Métro stops are closer together than in any other city, so you don’t have to tire your feet out wandering from café to museum to cathedral. Plus, if you miss your stop, you won’t have much distance to backtrack. The subway, buses, commuter trains, and trams, not to mention the admirable bike-sharing program, can get you everywhere you need to go in the City of Love. An impressive 90 percent of all traveling in Hong Kong is done by mass transit. And it’s no wonder, with conveniences like 3G network coverage underground, and an “octopus card” that can quickly pay for subway fares, parking, and purchases at convenience stores and fast-food restaurants. The subway moves visitors easily from the airport to Lantau Island to Kowloon to Hong Kong Island, and beyond. The South Korea metropolis makes public transit easy for residents and visitors alike, with integrated subways and buses, announcements in Korean and English, Wi-Fi access underground and in stations, and even service robots to answer your questions. 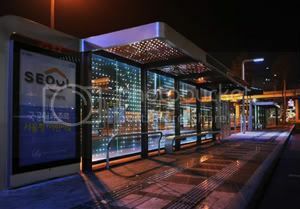 You’ll get a window into the future using this ultra-contemporary transit system. The Moscow Metro sticks to a very precise schedule, so you’ll always be on time—impressive, considering the eight million passengers riding it on an average weekday. The subway stations are destinations in themselves, with their ornate and memorable architecture. So when you’re not taking in the Kremlin and other famous sights, you can gawk at the elaborate underground city. Joanna Eng is a New York-based writer and editor who covers travel, green living, food, careers, entrepreneurship, and more. Her travel experiences have ranged from hostel hopping in Mexico to staying with distant relatives in China to renting a beach apartment in New Jersey. Two Free Helicopter Rides and Beach Gear! 4 Free Rounds of Golf! 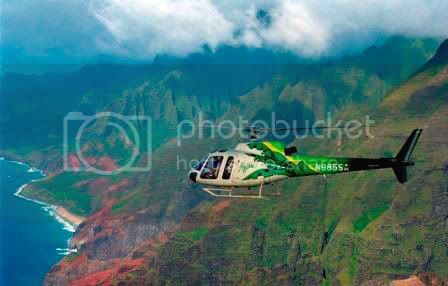 Kauai’s helicopter tours are an incredible way to explore the coastline and the inaccessible regions of the island. And after viewing the island from 5,000 feet you’ll be ready to hit the waves. Lucky for you this alluring rental is located 100 yards from Shipwreck Beach. There’s even boogie boards and snorkels at your disposal for more adventures. This southern plantation in Sunset Beach, North Carolina is a haven for beach-goers and golf enthusiasts alike. The property overlooks the 12th green on the stunning “Maples” golf course, so you won’t have any trouble using your four free rounds of golf. After a few bogeys and missed puts head to the expansive 800 sqaure foot deck to relax and take in the scenery. Free Water Park Tickets for the Whole Family! Located in the splendid Pembrokeshire country side this coach house will keep even the most active renters busy. An onsite grass tennis court and 400 meters of fishing in the Western Cleddau are the perfect base for exploring the area. Free tickets to the “Blue Lagoon” water park will keep the kids happy as they use the various water slides and wave pool. “The Royal Hideaway” of the Middle Caicos is a real treasure. Surrounded by soft pink sand and pristine clear waters the island is perfect for exploring the local sea life. Take your free kayaks out to the 3rd largest barrier reef in the world for for once in a lifetime snorkeling and bird watching. Dive for conch and lobster to prepare your own authentic Caicos meal! Vacation Rentals are a great alternative to hotels and resorts when you’re looking for a place to stay on your next vacation. They’re typically less expensive, more personal, more private, more spacious, and boast all the comforts of home. But even though the benefits are many, there are several things to take into consideration before booking a vacation rental. Today I’ll go over the Top 8 Things to Consider When Booking a Vacation Rental. We’ll cover everything from safety precautions to payment methods to tips on when and where to book. As usual – if you have questions, just ask. 1.) Book Early. In January and February, summer rental bookings begin – especially for waterfront properties. Many regular vacationers book a year in advance, so take that into consideration when making your summer vacation plans. It’s never too early to start looking. 2.) Explore Your Options. First you pick a vacation destination, and then you find a place to stay. When searching for a vacation rental home – comparison shop! Be sure to keep your options open – considering many different rental properties gives you a variety of places to choose from, as well as a variety of prices and available amenities. Looking at comparable properties will give you a good idea of what you can expect from a particular area. 3.) Consider Off-Peak Vacations. The most popular vacation months are typically July and August, so naturally booking a vacation rental during these months will be most expensive. If you plan a trip for late May or early June, you can avoid most of the peak-season fees. And if you can wait until after Labor Day, you’ve got the chance to save up to HALF off your rental price! 4.) Be Your Own Planner. Using a booking agent can tack on a fee of up to 10% on top of the cost of a rental, so use websites like FlipKey to do it yourself, quickly and easily. 5.) Read Guest Reviews. This one is a no-brainer to us here at FlipKey, because reviews are paramount to our property listing experience. But there’s a good reason for that – only past guests can tell you what a rental property is REALLY like – the good, the bad and the ugly! In addition to looking at photos and chatting with the owners, it’s the most surefire way to guarantee that you’re picking a good place to stay. 6.) Ask Questions. Whether booking a property that you’ll stay in for two days or two weeks, you want to make sure that you’ll have all the amenities you want and need available to you. And the only way you’ll know is if you ask. More is better in this case, and owners will be happy to provide information and photos to anyone seriously considering their rental home. 7.) Secure a Contract. Be sure not to send any form of payment to the property owner until you’ve signed a rental contract and agreed to all the specified terms. Also be sure to read through the entire rental agreement before signing to make sure you are as informed about your stay as possible. 8.) Consider Payment Options. Paying by credit card vs. cash or check is the best way to go, because credit card payments (or using a service like PayPal) means it’s a lot easier to retrieve your payment should a rental agreement go south. Avoid paying any type of cash deposit, and consider purchasing travel insurance (something FlipKey now offers). I hope these tips will get you off to a great start with your rental property shopping, and help you feel equipped to navigate the rental property world. Given all of the necessary facts, tips, and “insider info,” you should be able to snag your dream property come next January! New England is known as one of the prettiest vacations spots in the country for its ocean views, multiple lakes, and vast amount of trees. Not to mention the historical importance of the area that is a big attraction for visitors. 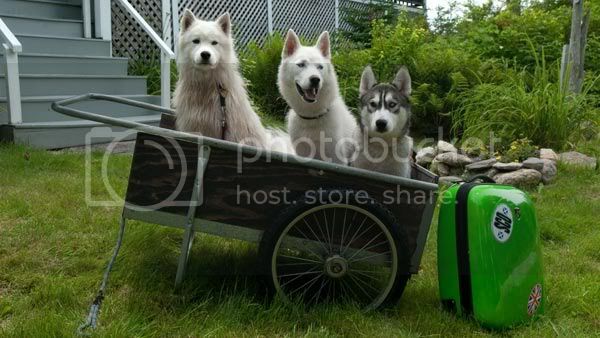 But when traveling, especially far away from where you call home, there is often something missing: your family dog. Many vacation rentals aren’t pet-friendly, and having to leave Spot or Fido behind can add extra costs and planning arrangements. The next time you’re thinking about heading to scenic New England, stay at one of these dog-friendly homes and bring along man’s best friend! This lovely waterfront home is located on Toddy Pond and contains five bedrooms and two baths, sleeping up to 12 people. Totaling 2,800 square feet, “Relax & Listen” offers guests a sandy beach that is perfect for the family to enjoy. With Acadia National Park and Bar Harbor just minutes away, you’ll have plenty of activities to keep you and the pup busy. This four-bedroom, two-bathroom house is 2,040 square feet and sits just where its name suggests: on the coast of Boothbay Harbor. Sleeping up to eight people, this rental offers fantastic views of your very own private waterway. The house comes fully-equipped with new appliances and is within walking distance of historic downtown, home to many shops and restaurants. Your dog will love having their run of this home’s private deck and yard. This newly-constructed luxury chalet is located in Franconia, NH. Boasting three bedrooms and two baths, this rental can sleep eight guests. Enjoy a lakefront view while sitting in the Jacuzzi or relax next to the gas stove. Cook for yourself and guests in the fully-equipped gourmet kitchen, under the 23′ natural pine cathedral ceilings. With hiking, skiing, snowboarding, and nature watching all within the area, you and your beloved pet will surely have plenty of activities. Take a vacation out to the beautiful White Mountains, in Lancaster, NH with this 3,500 square foot farmhouse. With four bedrooms and two baths, this rental sleeps eight people. Relax on the classic farmer’s porch and breakfast nook, or entertain in the formal dining room. With breathtaking views of gardens, and mountains in both Vermont and New Hampshire, you and your pup will have plenty to look at. Taking its name from the Norwegian “broad view,” this two-bed, two-bath cottage will take you and up to three guests to a fabulous view of the Green Mountains. Also located on the edge of Spruce Forest, this rental offers up an impressive nature scene. It comes with all modern appliances as well as a wood-burning stove. With 1,100 square feet of cottage in a rural setting, your dog will have plenty of running and playing space. This townhome is adjacent to the Woods Resort and Spa in Killington, Vermont. This three-bedroom, 4-bathroom getaway is the perfect destination to enjoy all the amenities of a ski resort in a home-like setting. Guests have access to the resorts’s indoor pool, fitness center, steam room, and spa treatments. With all of these possibilities, your family dog will have more to do than they can fit into one vacation. Bring up to a whopping 18 guests to stay in this massive, 5-bedroom, 4-bath house. Located in Vermont, this vacation rental comes with plenty of luxuries, including: a professional kitchen, private deck, hot tub, and a billiards table that can be converted for any ping pong or air hockey lovers. If you’d rather relax, then enjoy a movie next to the wood-burning fireplace or on one of the house’s three flat screen TVs. The old boy will love having his roam over this large contemporary rental. A stay in Edgartown at this 6-bed, 4-bathroom rental will provide you with a beautiful private pool. Newly renovated, this house offers many indulgences, including; luxurious linens, a video library, and plenty of outdoor living space. It even comes with a separate bungalow for the kids and the dog to hang out. Treat yourself to some of the best views in Massachusetts from this 4-bed, 4-bath home. Overlooking Sandy Neck Beach, this luxurious house is just a short and private walk from the beach. This rental also offers a billiards room, dining area, and luxury master suite complete with Jacuzzi tub you can be sure the pet will enjoy! Located in the Cape Cod area of Massachusetts, this 2,600 square foot, 4-bedroom, 3-bath vacation spot provides you with breathtaking views. The house hosts a deck that offers panoramic views of the Provincetown Harbor and the Pilgrim Lake dunes. Enjoy this private getaway with a heated pool, hot tub, and sauna. And with a chef’s kitchen and two outdoor gas grills, you’ll never have to worry about your best friend going hungry. Back to the City for Back to School! Whether your family’s summer was full of baseball games, fishing at the lake, or just hanging out with friends, I hope it was like ours: a grand reprieve from the structure and routine of the school schedule. I know—summer’s not officially over until the Fall Equinox in late September, but that’s just a technicality! Ask any kid and they’ll tell you summer winds down on Labor Day Weekend. In some ways September is more a New Year’s event than January, especially for families with school-age kids. It’s a fresh start with new teachers, a new set of classmates, and a whole new set of goals and challenges. Labor Day weekend offers a perfect opportunity to say farewell to summer while kick-starting the school year. Instead of another trip to the lake or another relaxing picnic gathering, families can embrace the upcoming school year with an urban weekend that jumpstarts the brains after a long lazy summer, and fills the closets with back-to-school gear. 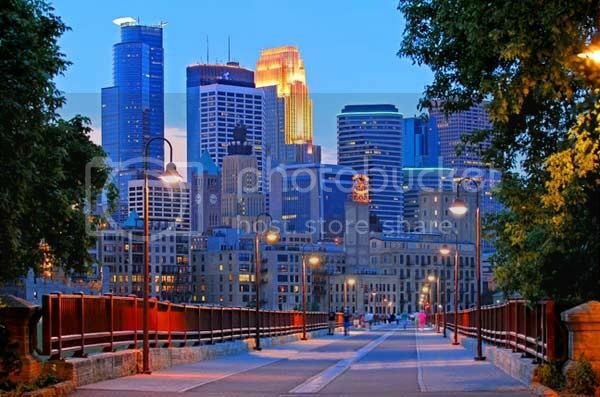 Midwesterners have an easy choice for a Labor Day urban getaway: Minneapolis is easy to get to and easy to negotiate, with great vacation rentals and more than enough culture to engage the whole family. Whether your family gravitates towards art, science, or theater, you can find it on Labor Day Weekend, plus fill in the gaps with great shopping. Spend an afternoon meandering the Minneapolis Institute of Arts for a look at how people have expressed themselves across the globe and through time, from African masks to Japanese scrolls. 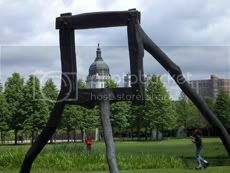 Then go big and head over to one of my favorite spots, the Walker Sculpture Garden, where the Standing Frame sculpture frames the city scenes and Prophecy of the Ancients frames the sky. The sculptures in this garden aim to change your perspective on the world, and one way or another they do succeed. Across the river in St. Paul, the experiment gallery in the Science Museum of Minnesota is a favorite destination for kids of all ages, followed by a visit through the dinosaur and fossil exhibit. The best reason to go to this science museum over Labor Day? It’s the last chance to walk like an Egyptian through the King Tut exhibit – it closes right after Labor Day. If your family is more into Shakespeare than mummies, here is a good option: take in a performance of Hamlet, a modern take on the classic story, at the Jungle Theater in Minneapolis. After which you might ask… “To shop, or not to shop?” and the answer will definitely be “Shop!” Without a doubt, you’ll want to give yourselves a full day for the Mall of America, where you can break up the shopping with adrenaline-charged roller coaster rides and flight simulator experiences, or head for a quieter diversion in the aquarium. Whichever activities you choose to fill the urban getaway, it’ll add up to a great transition back to the new school routine, and maybe will even become a family tradition. Suzanne Johnson lives, writes and plays in the Cascade mountains of Oregon with her family of adventure-prone boys. More of her writing can be found a SuzanneMyhreJohnson.com. A complimentary bottle of wine can be one of the best amenities offered at a vacation rental—especially from one of the world’s best vineyards. And we all know some of the finest wines come from South Africa, Argentina, Europe and California. So, wine enthusiasts, why not take a trip that includes a bottle of wine to sweeten the deal? Here are some deals that do just that! South African Wine and 3 Nights for the Price of 4! 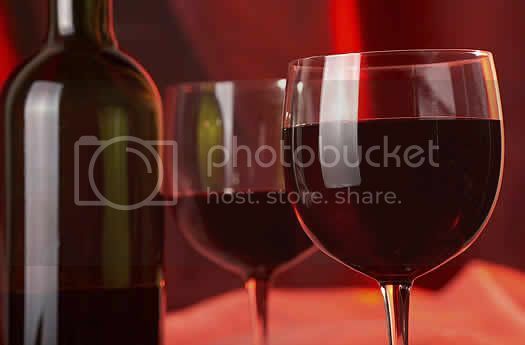 10% Off and 2 Fine Mendoza Wines! Knysna, located on the western coast of South Africa is an artists favorite for its incredible landscapes and lagoon views. Loosen up on your patio with a bottle of delicious South African wine while you grill up some dinner with the on site barbeque. The maritime climate and elevation is the perfect environment for making some of the world’s best wines. Relax and take in the stunning view from your high rise balcony with a bottle of fine Argentinian wine from the illustrious Mendoza region. This17th floor luxury studio is in the vibrant Palermo Soho neighborhood of Buenos Aires and a flawless place to experience Argentinian night life. If you’re not a night owl, enjoy the pool and nearby botanical gardens. Free Sonoma Wine Tasting Passport – over 30 Wineries ! Clinging to the famed, near vertical Santorini hills, this charming cave villa is sculpted into the volcanic rock on the isolated Greek Island. The light pink villa boasts an alluring two level veranda with an exceptional panoramic view of the lower volcano and caldera. Proximity to shops and restaurants makes this rental a must! Minutes from Sonoma’s historic town center, this three bedroom bungalow is perfect for an introduction to Northern California’s strikingly beautiful wine country. Equipped with a “wine passport” for each adult that gives access to free tastings at Sonoma County’s exquisite yet expensive wineries, this 150$ value is one wine lovers won’t want to miss. Umbria is a small Italian region located approximately between Rome and Florence. It’s a magical place, ideal for a peaceful retreat after the excitement of the bigger and better known Italian destinations. For many experienced travelers Umbria is a home away from home. Medieval hill towns dot rolling hills covered by olive groves and vineyards. Food is family style, deeply rooted in the land. Truffle, pork, wild asparagus, and silky homemade pasta are some of the many local specialties. All should be generously doused with peppery olive oil and accompanied by a red-like-love Sagrantino wine. You can visit most of Umbria’s marvelous hill-towns during a day trip from one of the beautiful central locations in the region, like Assisi or Perugia. You will need a 4-5 days visit to see other highlights like Orvieto, Gubbio Spoleto, Norcia, Bevagna and Montefalco, but there is enough to do for at least two weeks, including some magnificent hiking. 1.) Enjoy a panoramic drive on a country road. For example, if you stay near Assisi, ask locally how to reach the Ponte di San Vittorino. Take the road that goes uphill towards Valfabbrica. You’ll have breathtaking views over Assisi, the Natural Park of the Subasio Mountain and later on the Mount Cucco. 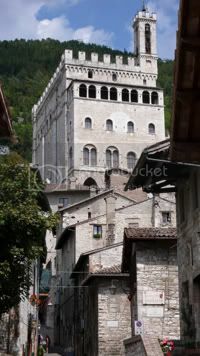 From Valfabbrica go to Gubbio, a splendid medieval town also known for the beautiful handmade ceramics. 2.) Visit the textile workshop of Giuditta Brozzetti in Perugia. In a gothic deconsecrated church now used as a workshop, hand-woven fine jacquard cotton, linen, silk, and wool cloth is produced on antique wooden manual looms, many dating from the 19th century. Call in advance for an appointment +39 07540236. 3.) Have a meal at Osteria del teatro in Foligno. Pierino the owner is a former physical education teacher who has turned his hobby into a profession. He’s a fabulous cook and if it’s a quiet day he will show you his spectacular underground XVI century cellar (Via Petrucci 8, Tel 3473401778 Closed Sun. dinner and Mon. lunch). After lunch or before dinner make sure to have some time for shopping. Foligno is not a tourist destination so no knick knacks are for sale but you’ll find instead an attractive selection of fashion and house-design shops. Letizia Mattiacci, together with her husband Ruurd and daughter Tea, runs the Agriturismo and Cooking school Alla Madonna del Piatto, near Assisi in Umbria. She teaches cooking classes in her kitchen with a view on the Umbrian countryside. You can find her recipes, cooking tips, images and stories about Umbria in her blog at www.madonnadelpiatto.com. She is also on Twitter @MadonnaDP . Tuscany is famous throughout the world for some of its most beautiful cities, such as Florence, Siena, Pisa and Lucca. Outside these major centers though, there is a world of historical and artistic treasures to discover. The real beauty of Tuscany lies in the many smaller towns and villages that dot its spectacular countryside, in the castles that crown wooded hilltops, and in the small parish churches and the remote abbeys that appear before the traveler who dares to venture off the beaten path. To fully appreciate what the region has to offer, one needs to rent a car and explore. Driving in Italy is not as scary as many say, and driving outside the major cities can be the goal of a daytrip in its own right. We sometimes recommend to the more experienced guests of our vacation rentals the Casina di Rosa for trips south of Siena and Behind the Tower for Pisa. We also suggest that those guests looking for an alternative holiday in Tuscany plan thematic itineraries. One of the themes we like best is “abbeys and minor churches”. It is no secret that the most impressive buildings in the country and the ones that house the most beautiful artifacts are religious buildings, and Tuscany boasts a wealth of them. The Abbey of San Piero a Grado, a beautiful Romanesque church dating back to the 12th century and built on the place where St. Peter issaid to have landed in Italy from Antiochia in 44 AD. The Charterhouse of Calci, a majestic monastic complex, a former Carthusian monastery and currently the home of the Museum of Natural History of the University of Pisa. A cool daytrip with children. Badia of San Savino, near Cascina, a perfect example of a medieval Benedictine monastery-fortress dating back to 780 A.D. The Church of St. Maria della Neve, a beautiful Romanesque country parish, once part of the Castle of Panicale and dating back to the 11th century. The imposing Cathedral of Sant’Assunta and Santo Genesio in the town of San Miniato, a smaller center that boasts a grand history that left behind some remarkable buildings and monuments. 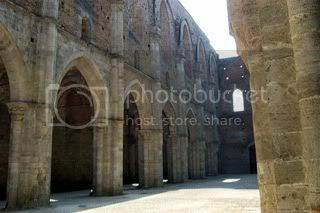 The Abbey of San Galgano, near Monticiano. It’s an impressive roofless gothic cathedral in the beautiful countryside of the Val di Merse. A path leads from the cathedral to the still existing abbey at the top of a hill. The unique round-shaped church houses the sword in the stone which historians believe to be the origin of the Arthurian legends. The legend of Galgano, first a knight and then a hermit, is said to have been brought to northern Europe by the monks who traveled to spread the Gospel. The perfect time to visit the Abbey is in the summer when operas are staged in the cathedral. The Abbey of St. Antimo, near Montalcino, for a trip back to the middle ages, when abbeys controlled vast portions of the countryside and monks led their lives in prayer. A unique opportunity to listen to Gregorian chants. 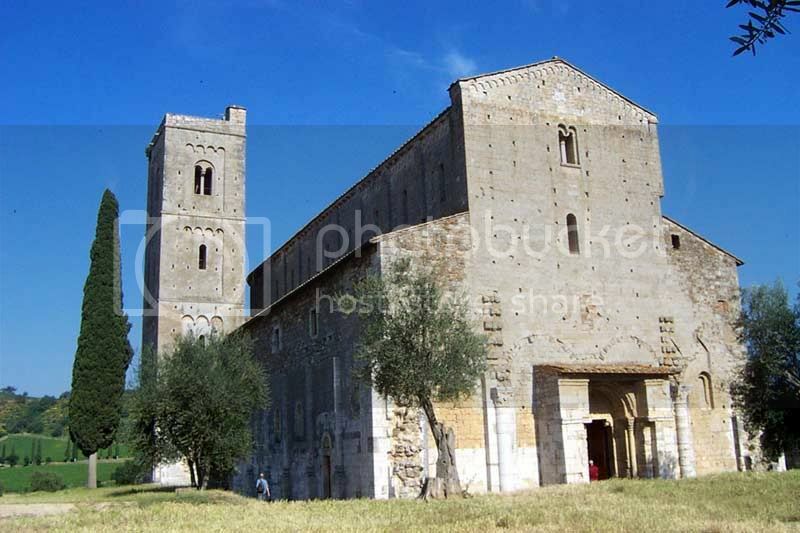 The Abbey of Monteoliveto Maggiore, still a thriving monastery, ideal for a full day visit. The refectory is impressive with the frescoes depicting the life of St. Benedict, and the church is a real jewel of monastic architecture. The drive to the abbey itself is well worth the trip: quintessential Tuscany at its best. The churches of Monte Amiata for an off-the-beaten-path daytrip to a very different part of Tuscany. We especially recommended these two stops: one at the Pieve of Santa Maria ad Lamula, a beautiful Romanesque parish church immersed in a chestnut grove; one at the Abbey in Abbadia San Salvatore, a lovely town with an impressive church. In between the two destinations, take the time to stop for a picnic in the woods of the highest mountain in Tuscany. The Synagogue in Pitigliano, for a different take on the history of Tuscany. The town also has an impressive cathedral. The church of St. Giovanni Battista in Bagno Vignoni, for its unique position overlooking the thermal baths. The impressive Cathedral of Pienza, an entire town built to honour a Pope. The beautiful Collegiata di San Quirico and Giuditta in San Quirico d’Orcia. And of course the nearby Chapel of the Madonna di Vitaleta, near San Quirico d’Orcia, one of the most photographed in Tuscany. Bottom line: don’t confine yourselves to the large cities, explore! Gloria is a born and bred Tuscan. She and her husband Marcel operate two vacation rentals in Tuscany – Casina di Rosa, in the countryside, and Behind the Tower, in Pisa – and she blogs regularly about life in Tuscany. You can read more of her writing at www.athomeintuscany.org.